A few days ago, when we wrote about how NeoMam Studios in the UK have created floorplans of classic literary houses, the illustration we used was of Daphne DuMaurier’s Manderley from her wonderful classic thriller, Rebecca. Author and essayist V R Gaitonde contacted us via Twitter about the house that was the real life inspiration for that almost mythical mansion. The opening sentence of Daphne du Maurier’s Rebecca has stuck in readers’ minds ever since the novel was published 75 years ago. 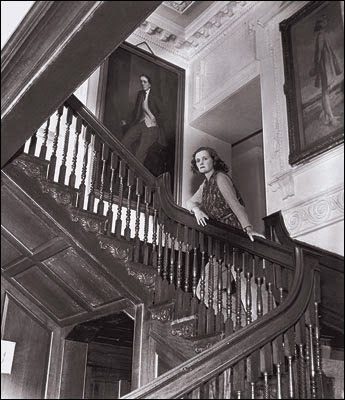 Manderley, the sprawling mansion where Rebecca is set and which exerts its own powerful presence in the novel, sometimes warm, often sombre, is popularly believed to be based on Menabilly, the manor that the du Mauriers lived in for two decades from 1943 to 1969. An early Georgian manor in Fowey on the southern Cornish coast, the estate has long been the seat of the Rashleigh family, who were powerful merchants from the time of Henry VIII. But when the Rashleighs stopped living in the house on a regular basis, it went to seed. They rented it to du Maurier, who renovated it from her own purse. The piece is lengthy and complete and goes way beyond a portrait of an important house. 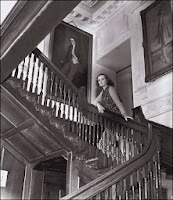 It looks at DuMaurier’s life and loves, and Hitchcock’s own attempts at creating the mansion at Rebecca’s core. It’s a terrific essay and provides plenty of fodder for those who have dreamt of going back to Manderley, again and again. You can find it here.